Washington, D.C.- As the Syrian crisis approaches its ninth year, Syria’s healthcare system continues to crumble . The conflict has claimed a devastating and unimaginable toll on reproductive health provision. In its latest report, “Disrupted Health Care in Syria: The State of Reproductive Health,” the Syrian American Medical Society (SAMS) documents the impact of ongoing violence, systematic attacks on medical facilities, and the conflict’s economic fallout on reproductive health inside Syria, and recounts the challenges medical workers and their patients face in Dara’a, East Ghouta, and Idlib. With many medical personnel fleeing the seemingly endless violence in Syria, the very few remaining reproductive healthcare providers are handicapped by shortages of qualified personnel, resources, medical supplies, and adequate training. Patients — women, infants, and their entire families — suffer the consequences. 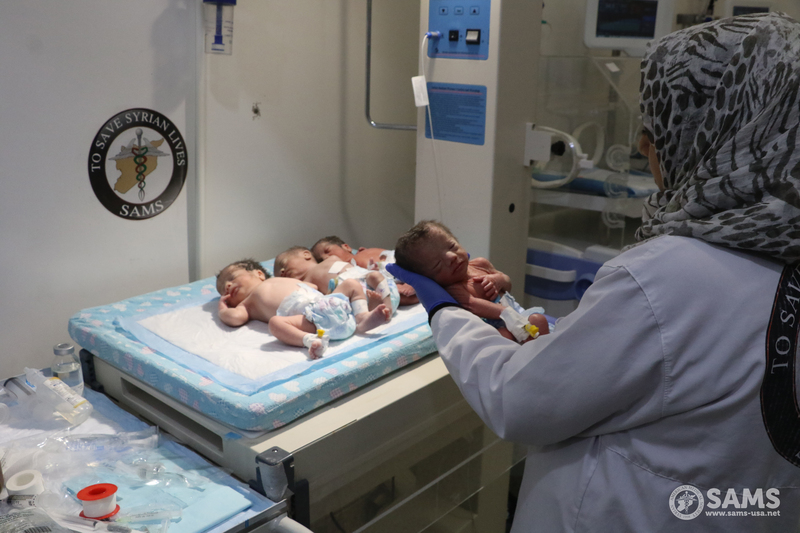 “My hospital [in southern Syria] had only two incubators, never enough to serve all preterm babies. On one occasion, we had 24 babies in need of incubators simultaneously. We had to use the incubators for only the most serious of cases,” explained Dr. Rami, a SAMS OBGYN in Dara’a. When Fatima* arrived to a SAMS-supported hospital in East Ghouta, she was rushed to the delivery room. Although she was in good health, her newborn baby weighed only 4.6 pounds (2.1 kilograms). Because the facility had no incubators, the newborn needed to be transferred to another hospital in Douma, approximately 7.5 miles away. However, heavy bombardment over the enclave delayed the ambulance by more than half an hour. By the time the infant was put in an incubator, it was too late. The baby died within an hour. One of the repercussions of the conflict is a significantly high percentage of C-sections due to the lack of basic reproductive health equipment and supplies, limited transportation during heightened bombardment, and worsening economic conditions that have forced doctors and patients to plan pre-scheduled C-sections. 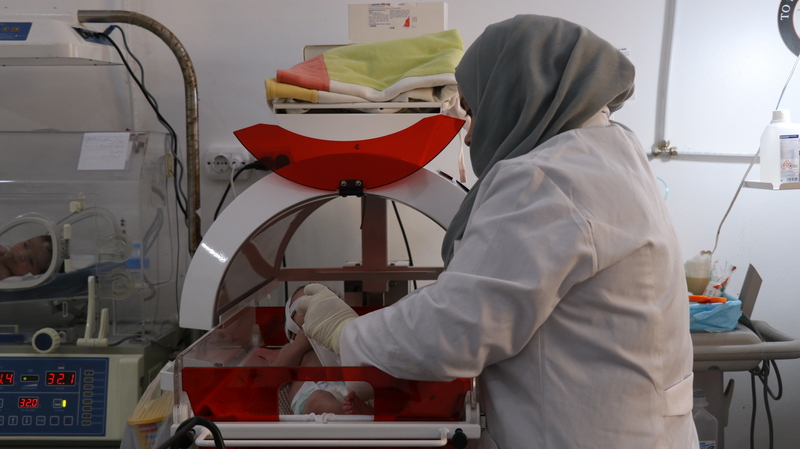 In three major SAMS-supported reproductive health facilities in northern Syria, C-sections reached 44.63% of total deliveries, 39.3% in three facilities in southern Syria and 41.1% in one East Ghouta center, between September 2017 and February 2018. Teenage girls have similarly been impacted. Displacement, economic hardship, instability, and disrupted education have compounded the practice of early marriage. Data from one large SAMS facility in southern Syria, between September 2017 and February 2018, shows that 12.2% of pregnancies were among mothers under the age of 18. 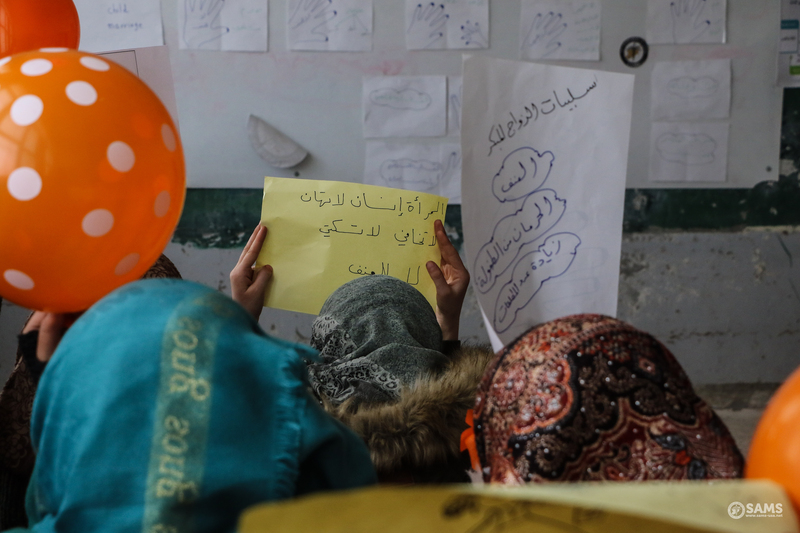 The report illustrates the grim reality of provision of reproductive health in Syria, while highlighting the resilience and courage of medical personnel in the face of unimaginable challenges. *Name changed for patient confidentiality.